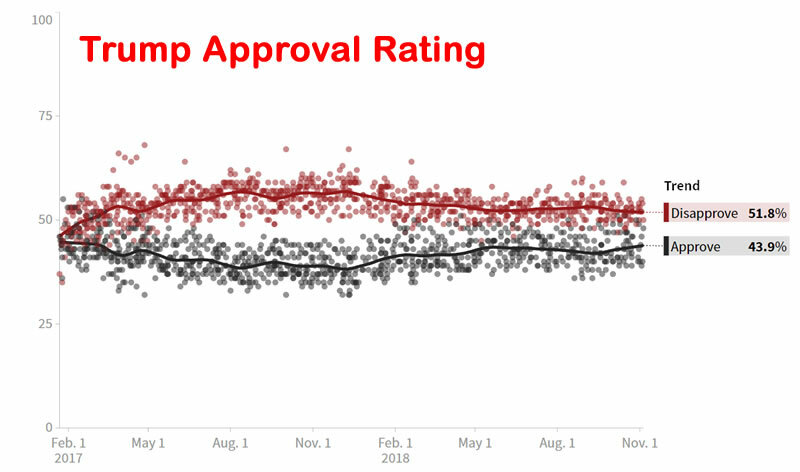 Trump’s approval ratings whilst off their lows further support the view that the Republicans are going to do badly tonight. Well the key debate in the media is whether the Democrats will take the House for which they need to GAIN 23 seats for a total of at least 218 from the current 195, which represents a near 12% increase in their number of seats. In terms of historic perspective swings to the Democrats tend to start at 30 and range upto 100. Which suggest the Democrats are very likely to achieve their minimum target and more. Thus it is very probable that the Democrats will win the House with a sizeable majority. Probably ending the night on tally of over 230 seats, maybe as high as 240 seats. 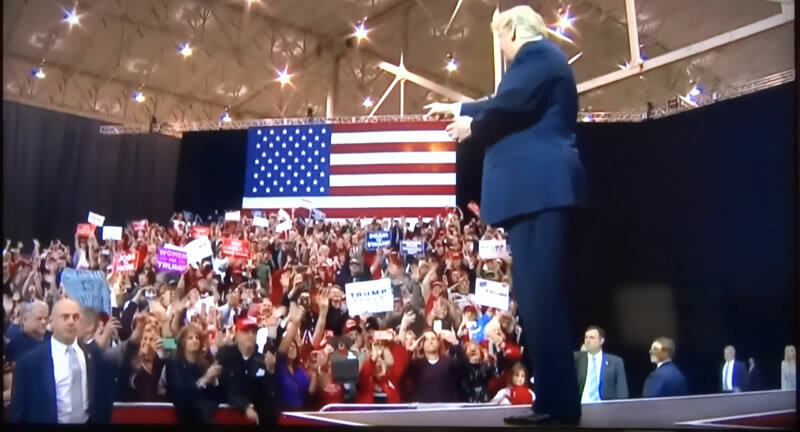 On the plus side for Republicans is that they are very likely to retain control of the Senate due to the fact that 42 republican seats are NOT up for election, leaving just 9 republican seats up for grabs of which the Democrats only stand a fighting chance in 2. So the odds of Democrats winning even 1 of the 2 possible seats is very low. And given that 26 Democrat seats are up for election then maybe the Republicans will get a surprise Senate seat win off the Democrats and increase their Senate majority!